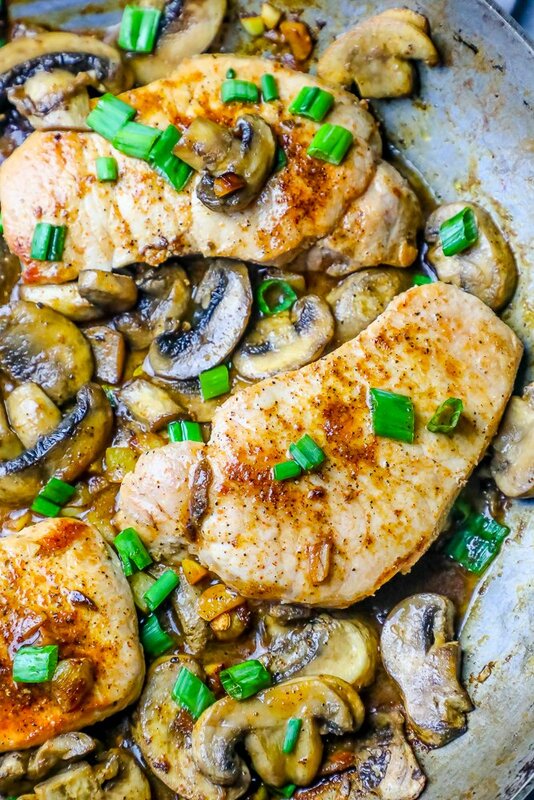 Easy One Pot Garlic Butter Pork Chops and Mushrooms Recipe – easy one pot garlic butter pork chops and mushrooms – a complete rich and hearty pork chop dinner in less than 20 minutes in just one pan! 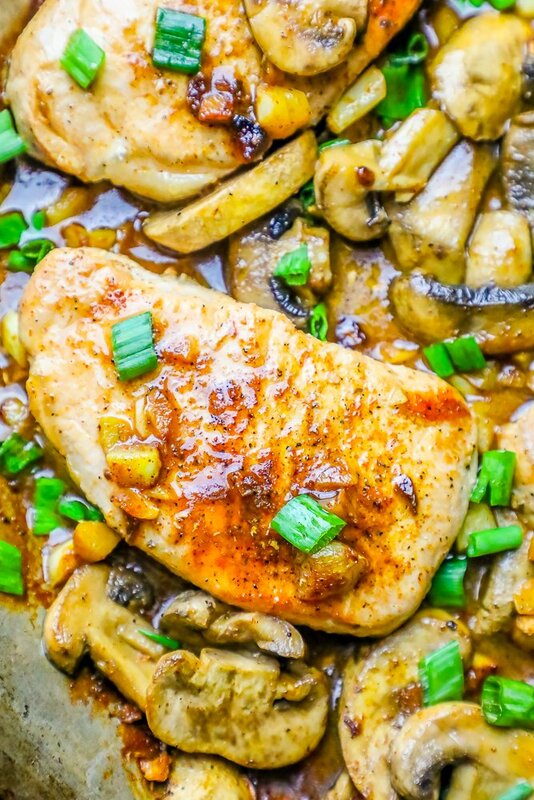 This easy and delicious garlic butter pork chops and mushrooms recipe is a complete crave-able dinner in just one pan – complete with a drool worthy side dish everyone loves! 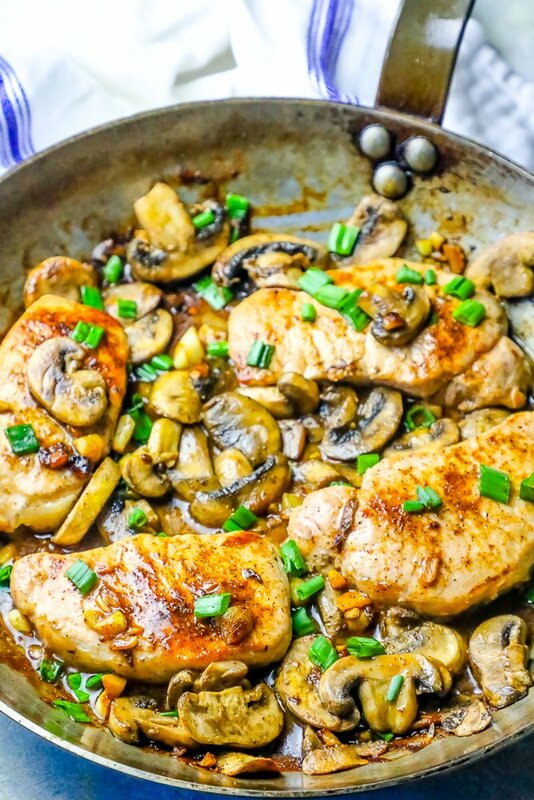 This recipe is based off my crazy viral One Pot Garlic Butter Chicken Thighs and Mushrooms recipe – it is irresistibly delicious and gets rave reviews! 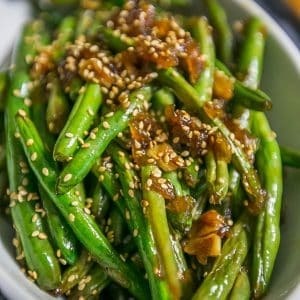 And be sure to check out some of my favorite other recipes you’re sure to love just before the easy printable recipe card below. 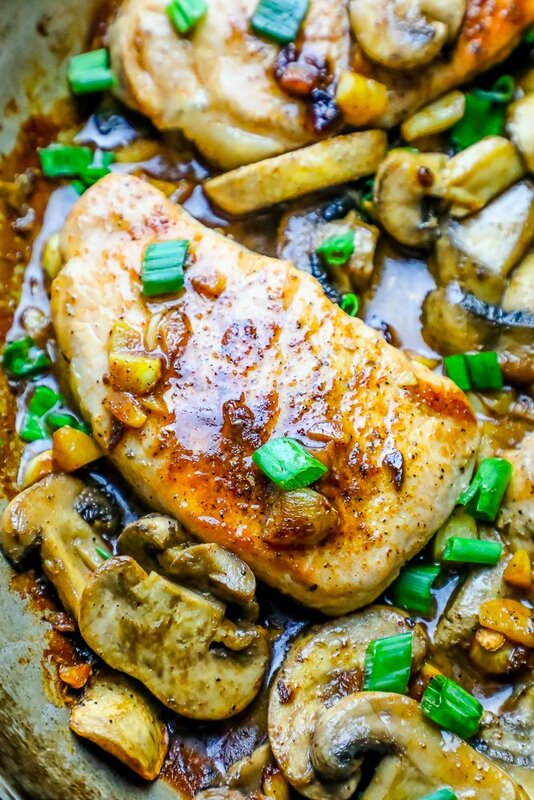 Just take me to the One Pot Garlic Butter Pork Chops and Mushrooms Recipe Already! 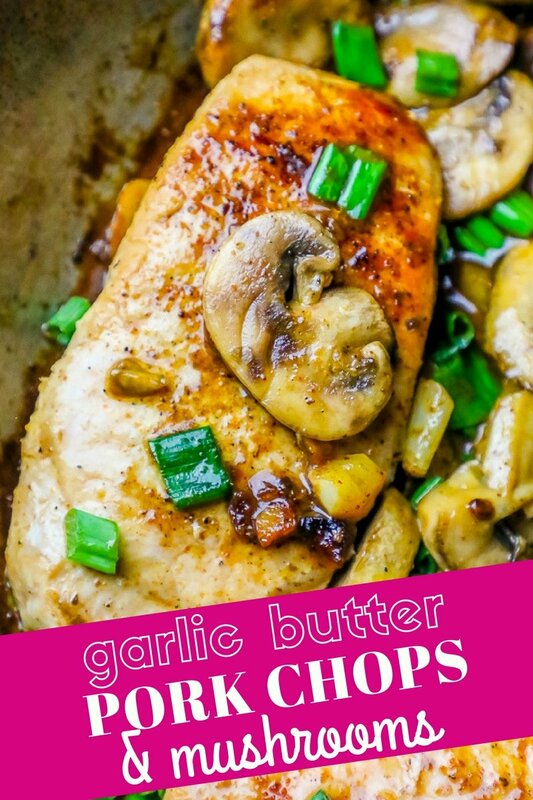 If you’d rather skip my (very helpful, i think) tips and tricks, essential cooking info, and similar recipe ideas – and get straight to this deliciously easy garlic butter pork chops and mushrooms recipe – simply scroll to the bottom of the page where you can find the printable recipe card. 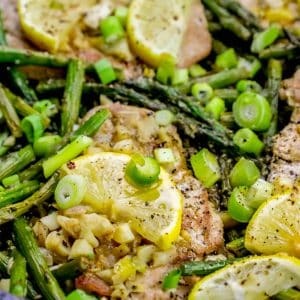 How to Cook Pork Chops That Aren’t Dry is a conundrum many people face – its easy to see how pork chops are known for being dry and tough when they can be easy to mess up. 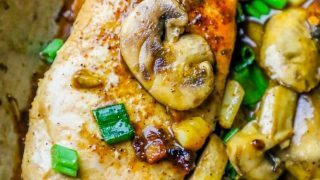 This handy guide will help you get juicy, moist pork chops with delicious melt in your mouth mushrooms in a garlic butter sauce every time you make this dish! Always Cook Pork Chops With Fast and Hot Heat. Whether you’re grilling pork chops, roasting (baking) pork chops, frying pork chops, or searing pork chops – pork chops stay juicy and tender when cooked fast over high heat. If pan frying like in this recipe, make sure heat his on high and flip pork chops when browned – don’t flip too often to prevent the sides from getting a good crunchy seared crust. 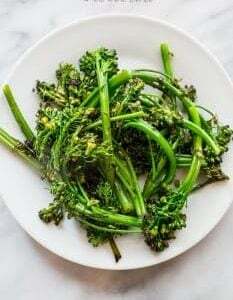 Use high smoke-point oil or clarified butter. 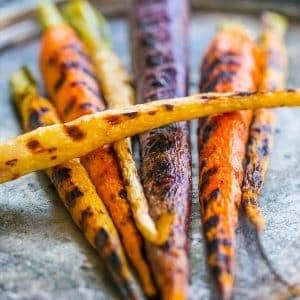 If you prefer pan frying in a little oil, use an oil that has a high smoke point – olive oil has a very low smoke point compared to other oils, so be sure to use something that won’t smoke when cooked on high heat quickly. 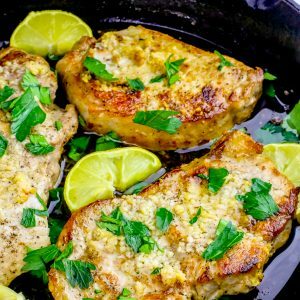 I personally prefer a rich, salty, buttery flavor when pan frying pork chops – so I opt for ghee or clarified butter since it has a higher smoke point than butter. Adding too many pork chops to the pan will lower the temperature of the pan and cause the porks liquid to come running out, boiling the pork instead of searing it. This makes pork chops tough and dry – not tender and juicy. 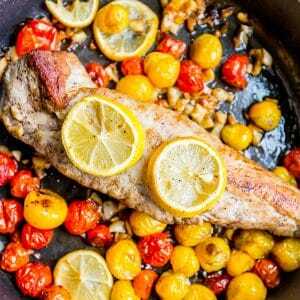 How to Cook Thin Pork Chops in a Skillet. 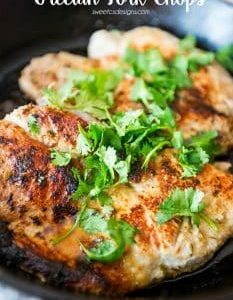 If you have thin cut pork chops, you will cook them entirely in a skillet to not dry them out. Brown one side for 4-6 minutes, then flip. How to Cook Thick Pork Chops in a Skillet. If you have thick pork chops (including bone-in chops), you’ll cook them in the skillet to brown, then transfer to the oven to cook through. Brown each side for 4-6 minutes in butter. 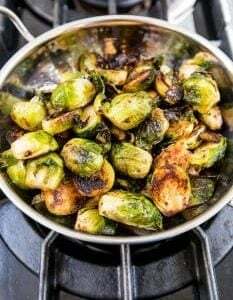 Remove from pan and brown mushrooms – don’t fully cook, just get a quick sear on them, and then add pork chops back to pan and add to oven that has been preheated to 400 degrees and roast for 10-15 minutes, until pork has reached 145 degrees internal temperature. 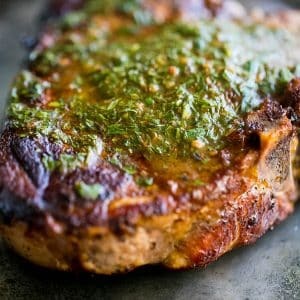 Pork chops get a bad rap for quickly drying out – which can happen without a couple easy to follow tips and tricks that will keep your pork perfectly juicy and moist! Cook pork chops on high heat quickly, as detailed above. Cook Pork Chops to 145 Degrees Internal Temperature. The FDA guidelines changed and were updated with modern pig farming practices and the reduction of trichinosis in pork. Freeze raw pork chops individually. 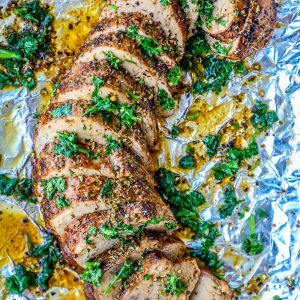 Pork is an incredibly budget friendly meat to serve a big family – and you can save a ton on pork if you buy in bulk and freeze it. To keep pork chops juicy and tender when cooking, take pork out of packaging, dry off any excess moisture, and freeze individually. 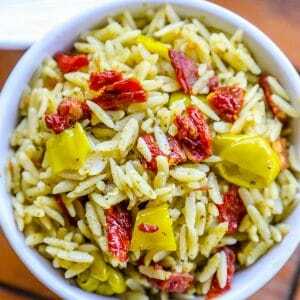 I like to wrap each chop tightly in a little plastic wrap and then toss them all in a bag in the freezer – this keeps chops from touching each other and clumping together – which will make them stick together and thaw unevenly. Let frozen pork chops thaw completely in the refrigerator before cooking. 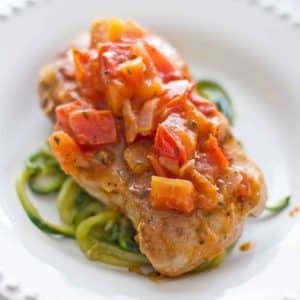 Thaw pork chops naturally (resist any and all urges to microwave thaw pork chops) to retain their juicy and tender meat – thawing too quickly with heat will cause the meat to seize up and become tough. Brine Pork Chops Before Cooking. Bring brine to a boil and then cool completely. Add pork chops to brine, cover, and keep refrigerated. Let Brine For 2-6 hours. After brining, pat pork chops dry with a paper towel and wrap tightly with plastic wrap until you’re ready to cook – up to 2 days. 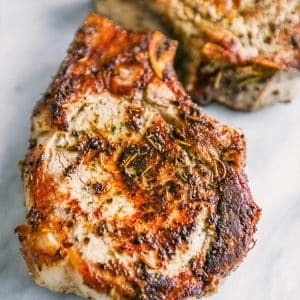 If you can’t get enough of this delicious pork chop recipe, please click the links below to visit some of my other favorite delicious pork chop recipes! 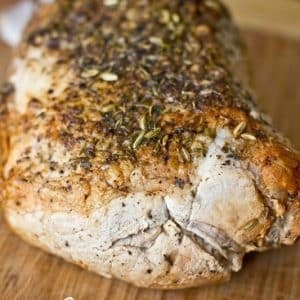 If you love this delicious pork chop recipe, you’re going to really love my favorite easy pork tenderloin dinners, too! 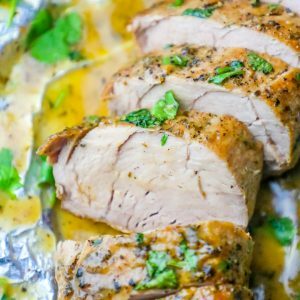 These simple and easy pork tenderloin recipes are melt-in-your-mouth tender and juicy and guaranteed to be super simple – no cooking experience or fancy equipment or hard to find ingredients required! 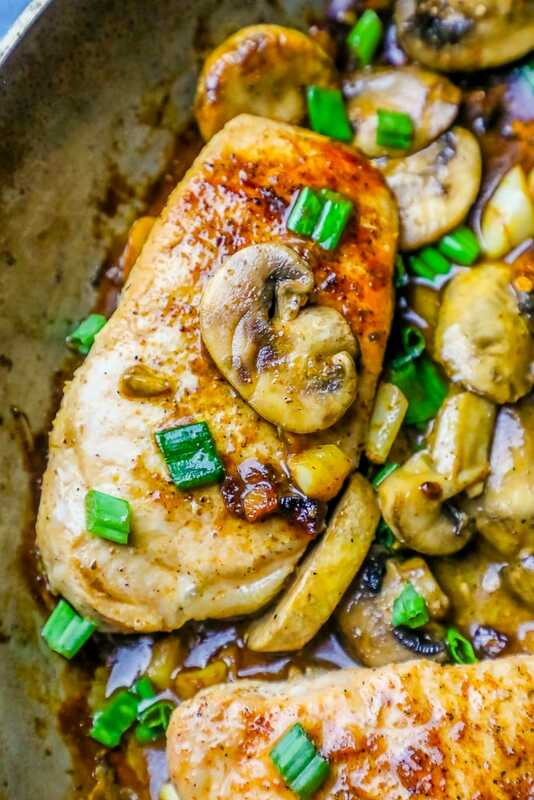 If you love this Easy One Pot Garlic Butter Pork Chops and Mushrooms Recipe as much as I do, please write a five star review, and be sure to help me share on facebook and pinterest! Add 1/2 butter, swirl around pan, and let melt. 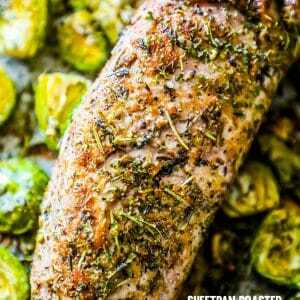 Salt and pepper pork chops and add to pan. Cook pork chops 5 minutes on each side, until lovely golden brown. When pork chops are well browned, remove from pan - do not drain pan grease. Add second half of butter to pan, let melt. Add red pepper flakes (add slowly according to your taste) and cilantro when mushrooms are lovely golden browned. Bring to a boil, let reduce and thicken slightly for 2 minutes. Add pork chops back to pan, let sauce reduce another 3-5 minutes, stirring occasionally, until thick and chicken thighs are 165 internal temp. Made exactly as stated. Used thick pork chops brined first. Were excellent. You need to make one correction. Step 15 says chicken thighs and 165. Should be perk chops and 145. Ooops?. 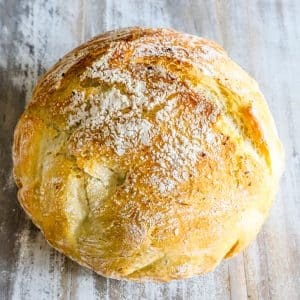 Great recipe thanks!